Ever since the centenary of cinema there have been intense discussions in the field of film studies about the imminent demise of the cinematic medium, endless articles championing the spirit of genuine cinephilia have proclaimed the death of classical cinema and mourned the end of an era, while new currents in media studies introduced such buzzwords into the discussions as “remediation” (Bolter and Grusin), “media convergence” (Jenkins), “post-media aesthetics” (Manovich) or “the virtual life of film” (Rodowick). By the turn of the millennium, the whole “ecosystem” of media had been radically altered through processes of hybridization and media convergence. Some theorists even claim that now that the term “medium” has triumphed in the discussions around contemporary art and culture, the actual media have already deceased, as digitized imagery absorbs all media. Moving images have entered the art galleries and new forms of inter-art relationships have been forged. They have also moved into the streets and our everyday life as a domesticated medium at everybody’s reach, into new private and public environments (and into a fusion of both via the Internet). Consequently, should we speak of an all pervasive “cinematic experience” instead of a cinematic medium? What really happens to film once its traditional medium has shape shifted into various digital forms and once its traditional locations, institutions and usages have been uprooted? What do these re-locations and re-configurations really entail? What are the most important new genres in post-media moving pictures? Is it the web video, is it 3D cinema, is it the computer game that operates with moving image narratives, is it the new “vernacular” database, the DVD, or the good old television adjusted to all these new forms? How does theatrical cinema itself adapt to or reflect on these new image forms and technologies? How can we interpret the convergence of older cinematic forms with an emerging digital aesthetics traceable in typical post-media “hosts” of moving images? 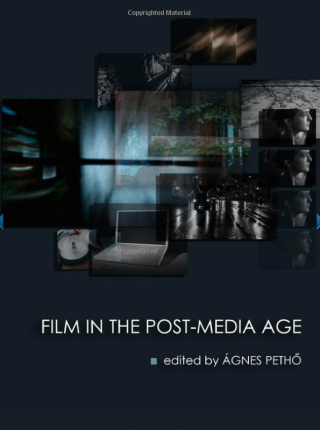 These are only some of the major questions that the theoretical investigation and in-depth analyses in this volume try to answer in an attempt at exploring not the disappearance of cinema but the blooming post-media life of film.